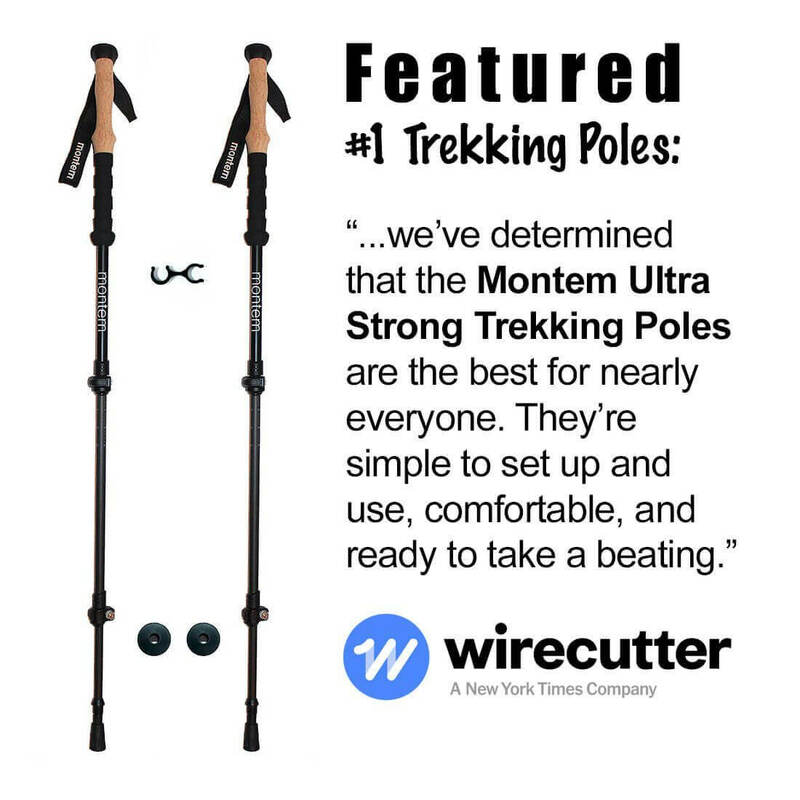 These Ultra Strong poles are strong and light. 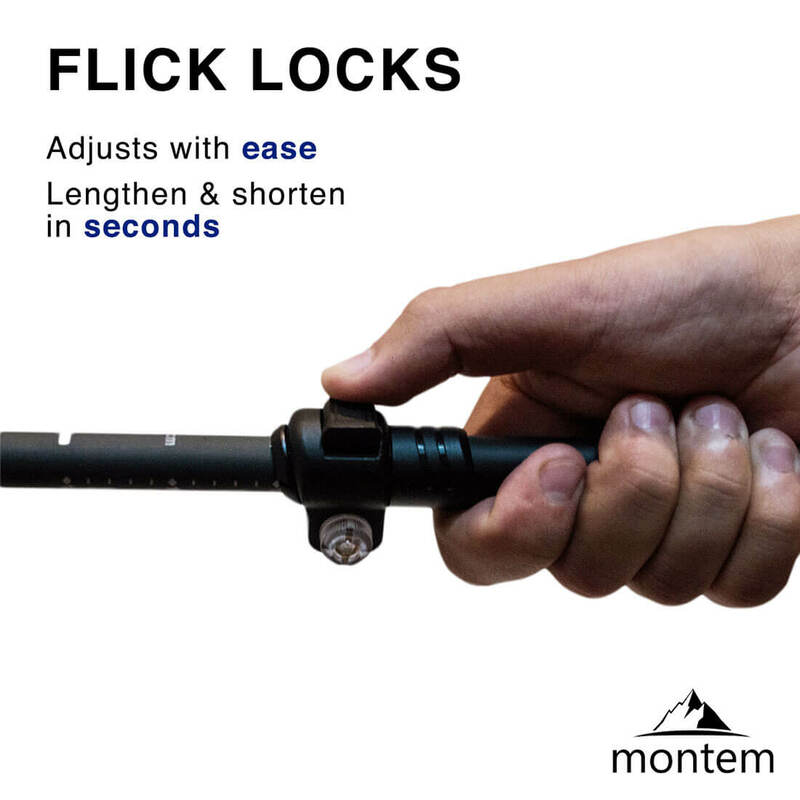 They are easy to adjust and compact down. I like how these also easily collapse down and fit in my bag. I have taken these on a few adventures and so far have performed well. Do not hesitate to buy, this is a great product, and you are supporting people who are passionate about the outdoors. I purchased two and will buy again in the future. Super light- will be taking these trekking poles on the Oxfam Trail . 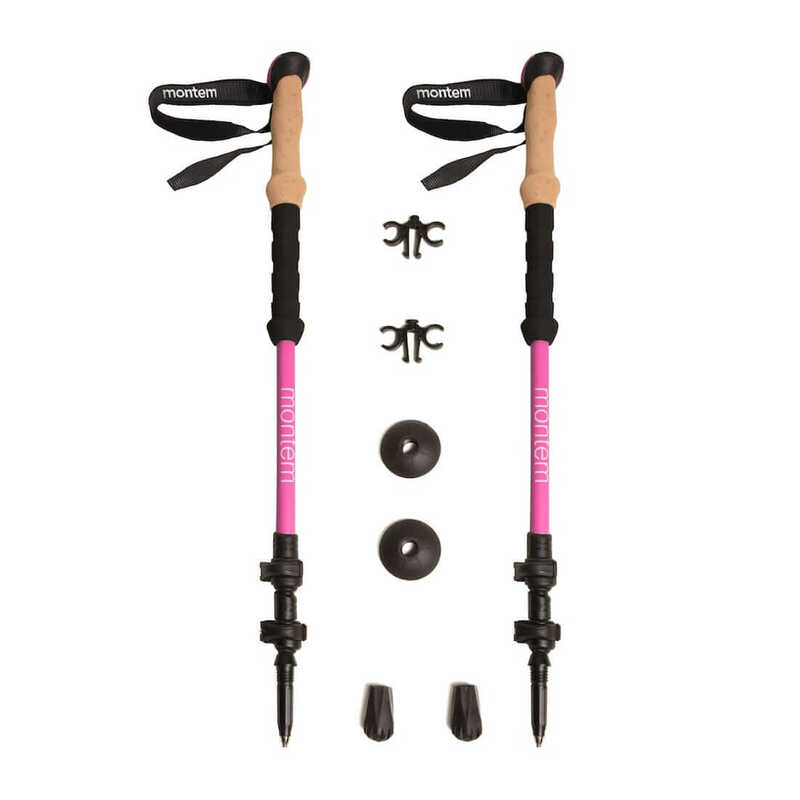 Grips are comfy, height adjustments quickly set, pack and extra tips very handy too. Highly recommended! I am new to nordic walking and wanted an inexpensive pair of walking sticks to get started, and these work perfectly. After three back surgeries, I have a difficult time walking and need to hold onto a shopping cart in the store. 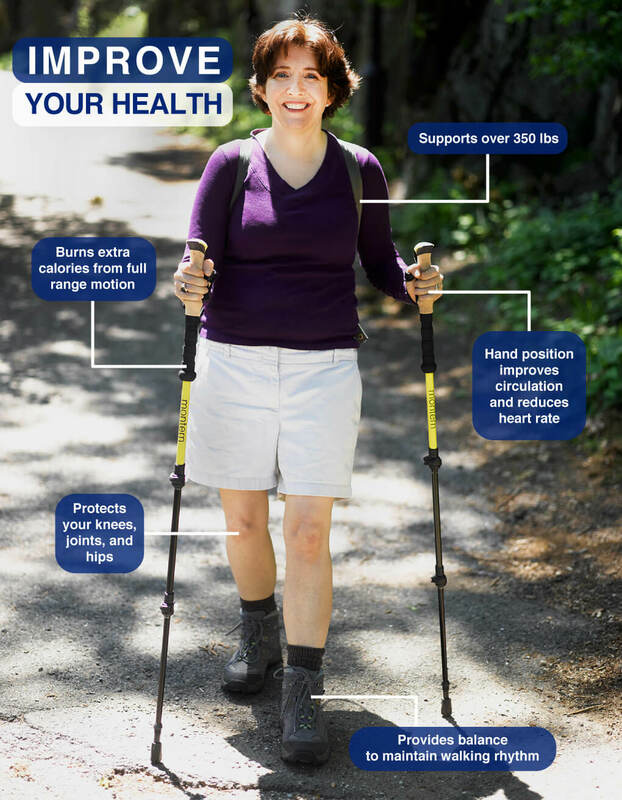 I used a cane when walking and was thinking about buying a roller walker when a friend suggested I try hiking sticks first. I bought these, and they work great. I can put downward pressure on the sticks and get the same relief as when using a cart. The sticks are lightweight and easily telescope. They are stronger if not extended to their full height. At this price, I think you should give them a try. And now for the real reason, I like them. Instead of looking like an old man with a walker, I look like a hiker. At least I like to think so. These helps me walk better! As a senior, 73, these poles give me the extra security I need while walking in town or hiking on the trails.